Calgary, Alberta – On Friday, March 2nd Cannabis Canada will be hosting its National Educational Conference & Business Opportunity Forum in Calgary, and has partnered with the Calgary Chamber on a luncheon for a deep-dive into the business opportunities in the emerging cannabis industry. “The emergence of the cannabis industry represents a new market opening in Canada—it’s the first time we’ve seen anything like it happen in recent history,” says Phil Roberts Chair of the Calgary Chamber and President and CEO of Vintri Technologies. Calgary’s business community is eager to explore how they can tap into this market, and what kinds of opportunities it represents for our economy. That’s why we’re bringing together some of the biggest names in the industry to spark a dynamic discussion at a President’s Panel. It’s about much more than production and retail. There are business opportunities in everything from HR to branding, traceability to technology,” says Roberts. The President’s Panel will kick-off the luncheon and will feature Bruce Linton, CEO of Canopy Growth, Cam Battley, CCO of Aurora, Ted Hellard, Executive Chairman of Sundial and Cassandra Farrington, CEO of MJBusiness Media. Finance Minister Joe Ceci will also offer opening remarks on behalf of the government of Alberta. The Chamber luncheon is one component of the full day Business Opportunities Forum happening on March 2nd. A ticket to the luncheon also gives guests access to the Forum for the entire day. The Calgary Chamber is a non-profit, non-partisan organization. For 127 years the Chamber has worked to connect Calgary’s businesses, help them grow and expand their influence in an effort to make the city an even better place to live and work for all. Cannabis Canada is the leading organization of Canada’s Licensed Producers of Medical Cannabis under Health Canada’s Access to Cannabis for Medical Purposes Regulations (ACMPR). 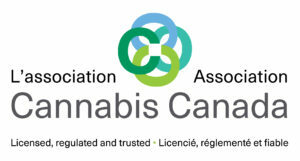 The Association’s mission is to act as the national voice for our members in their promotion of industry standards; support the development, growth and integrity of the regulated cannabis industry; and serve as an important resource on issues related to the safe and responsible use of cannabis for medical and non-medical purposes.